On March, Sunday 25, the Malta AAA organised the fifth and final race in the 2017/2018 Road Running League which started and finished at Marsascala. 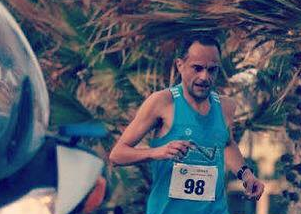 Despite the adverse weather conditions, Mellieha stalwart Andrew Grech and the St Patrick’s runner Roberta Schembri emerged clear winners. Grech won the men’s 10km race in a time of 33 minutes 15 seconds while in the women’s race Schembri covered the 10km distance in a speedy 36 minutes 47 seconds. Schembri’s victory at Marsascala meant that she also became the overall winner in the 2017-2018 Women’s MAAA Road Running League. On the other hand, the winner of the Men’s 2017-2018 Men’s MAAA Road Running League was Charlton Debono, the Gozitan runner from Athletix AC, who had already sealed victory after Race 4 and who on the day of the Marsascala race was abroad on international duties. The Men’s team title went to Mellieħa Athletic Club who in addition to the exploits of leading runner Grech, also managed other excellent performances thanks to athletes of the calibre of Felipe Vella, Darren Agius and Paul Formosa. In the Women’s Category St Patrick’s spearheaded by Schembri proved worthy winners with athletes Joelle Cortis and Marika Micallef also winning important places for the St Patrick’s team.